Superior Mobility insists on developing strong relationships with our corporate customers. These relationships have developed into loyal customers and repeat business. Building strong relationships has been the common thread throughout Superior Mobility’s corporate relocation philosophy for decades. Simply put, Superior Mobility is a relocation Solutions Company powered by a staff steeped in quality, commitment and customer service. 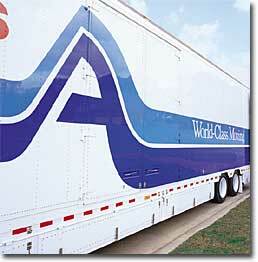 We have the unique ability to customize our relocation program around the needs of our corporate customers. Our partnership with Atlas Van Lines affords us the opportunity to pack, load and haul corporate traffic on our own equipment, point to point. We call this the Self Haul Advantage. We use the Self Haul Advantage to haul our own corporate traffic on our own fleet of moving vans. This fleet allows Superior Mobility to offer our customers the unique promise of the same van operator and crew from start to finish. Superior Mobility’s commitment to corporate relocation reaches into every detail of the moving process. Our professional van operators and crews have passed an extensive background check conducted by a third party investigating company. This is an example of our assurance that only the finest professionals are sent into the homes and businesses of our customers.